Dusty garnet color. 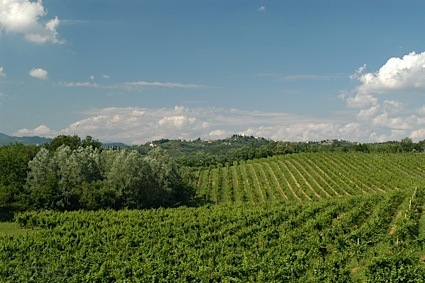 Bright, fruity, spicy aromas of dried berries, powdered citrus, and almond and anisette cookies with a silky, crisp, fruity light-to-medium body and a smooth, brisk popsicle sticks, beets, and gravel and grass finish with firm, woody tannins and moderate oak flavor. A sturdy, oaky zin. Bottom Line: A sturdy, oaky zin. 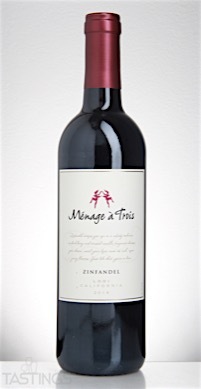 Ménage à Trois 2014 Zinfandel, Lodi rating was calculated by tastings.com to be 82 points out of 100 on 4/26/2016. Please note that MSRP may have changed since the date of our review.